HIPAA auditing and risk assessmentguides. Conduct the internal auditsand risk assessmentsthat CMS expects to see and that the Office for Civil Rights is actively monitoring. 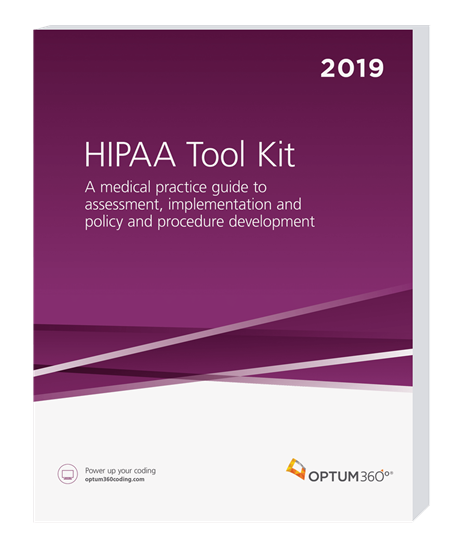 Get these must-have customizable policies, procedures, and worksheets toensureyour HIPAA program is effective andto show your duediligence in meeting your obligation to monitor HIPAA compliance. Comprehensive management policies and procedures. More than 60 pages of new customizable policies, procedures, and forms.Includes our detailed Risk Assessment/Risk Analysis tool.Get customizable reports and forms for the risk assessment that the Office for Civil Rightsexpects you to have in your records. Updated state breach laws. Get state-by-state details of local rules governing breach release of individuals’ protected health information. Also available as an eBook.Convenient for key word searching. Skills tests. Quantify your own, as well as yourstaff's, level of understanding of HIPAA topics.